People use plethora of interactive remote conference tools for various tasks ranging from collaborative works to entertainment needs. The tasks are often distinguishable in terms of their types and users' usage patterns. We present a preliminary user study designed to explore the different usage patterns derived by performing different types of tasks. 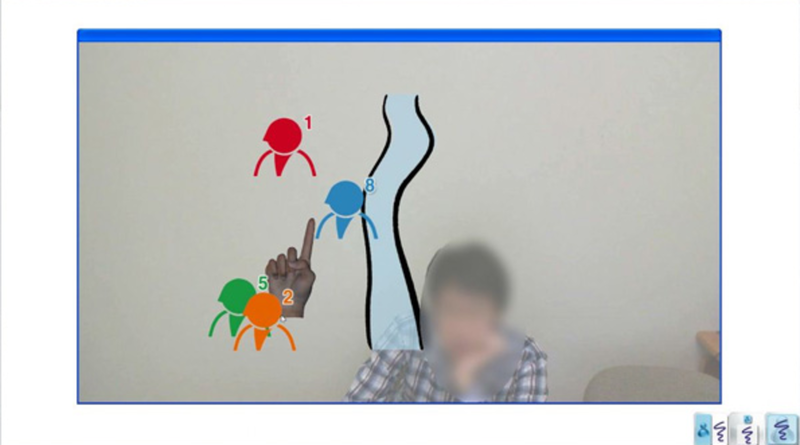 In this study, 18 people used an interactive remote conference tool for three types of tasks; Collaborative Creation, Cooperative Problem Solving, and Competitive Game Play with different screen configurations. We analyzed usage patterns using an eye-tracker as well as the result from post experimental questionnaire. We found that different tasks resulted in different gaze patterns. We also present an interesting finding on how users mistakenly report the use of the tool by contrasting the result with the questionnaire and eye-tracking log. This work was supported by Research Settlement Fund for the new faculty of SNU and the National Research Foundation of Korea Grant funded by the Korean Government (MEST) (No. 2010-0002266).